Picture of 12 Tiles. of 15 x 15 cm. Total sice: 45 x 60 cm. 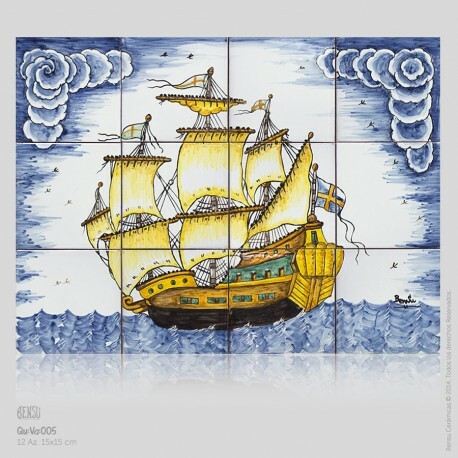 Reproduction of tiles designed that show in their drawings the traditional ways of working. 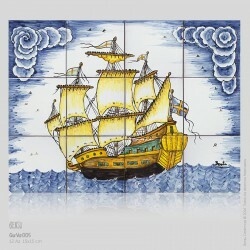 In this section you can finde battle ships with sail used in the past centuries. They are all designs of large battle ship with sails that were used in the seventeenth and eighteenth.